Teams are averaging 1.33 homers per game. The record is 1.26 in 2017. But keep in mind it hasn’t gotten warm yet. MLB vows nothing has been done to juice the ball. It might have happened by production accident, but many on the field think the ball is alive. Twelve percent of the season has been played, no surprise, #Marlins #Royals #Orioles have worst records. But the best is #Rays #Pirates #Mariners. Yep, just 12 percent of the season. 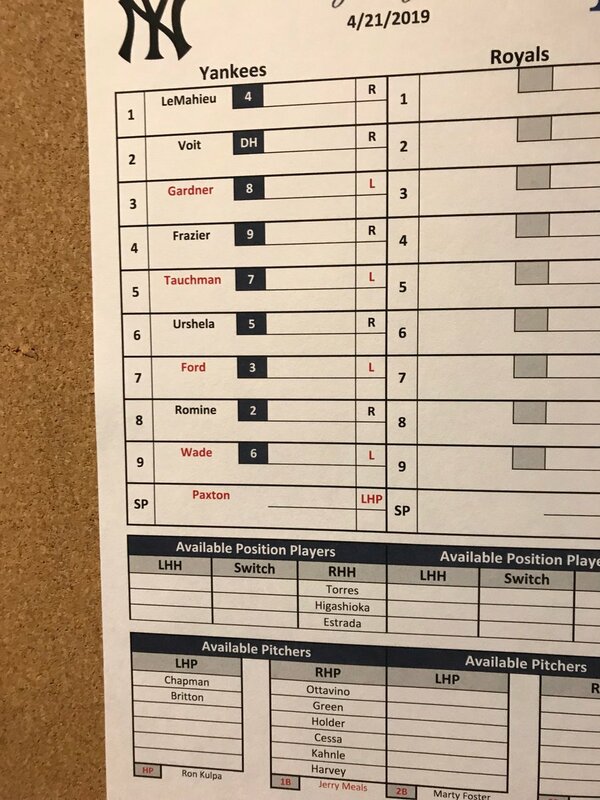 #Yankees announce Judge has a left oblique injury, heading for an MRI. I thought this, but then considered if Ellsbury were healthy the Yanks would not have obtained Tauchman probably and he actually has helped them. Maybe Ellsbury would be helping more. Michael Kay makes a good point. with all these OF injuries (Judge just left game) they really miss Ellsbury. One small saving grace: NYY gets 75 pct back in insurance $ on Ellsbury as long as he stays injured.